A couple years back, Brian Cormack and I were a bit distraught with the lack of water that we had received that year. We were yearning to shoot waterfalls. Brian had the thought to try out Blanchard Springs since year round it produces a great waterfall at mirror lake. While I did get some great shots of water falling that day, I found this to be my favorite from the trip. 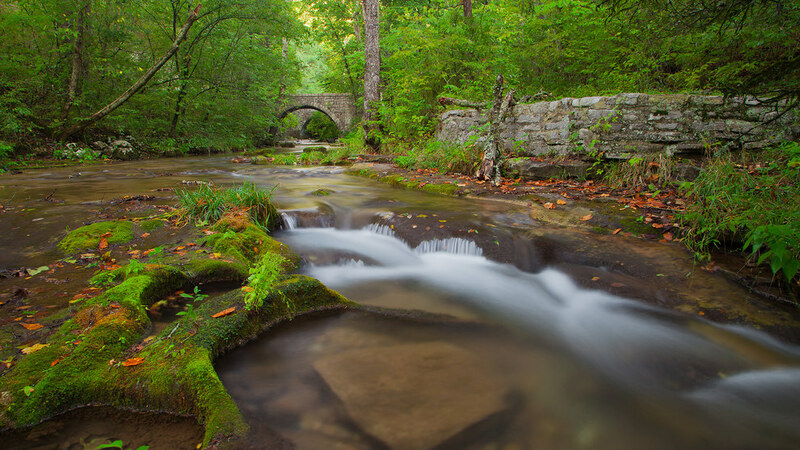 It’s a shot of the small creek which flows between Blanchard Springs and Mirror Lake. An old bridge can be seen in the background and since the bridge has a unique look it gives this scene a lot of character.